There are many factors that can keep us from being healthy. Obesity for one has become a global problem and it should be resolved personally. Although there are many programmes put by the government, the result will still depend on the person at the end of the day. The Social Progress Index released their list of 2015 fattest countries in the world. The number one spot went to Kuwait followed by Saudi Arabia, Belize, Egypt, Jordan, United Arab Emirates, South Africa, Qatar, Mexico and Bahrain. If you notice, most of the countries are Arab countries. Asia should be alarmed. This is the reason why Singapore is doing its best to stay healthy by encouraging the population to move. Monaco: In Monaco, the life expectancy rate is 89.63 which is better compared to others. 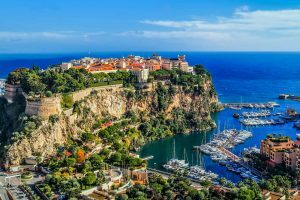 Monaco is healthy because the population is wealthy which means they can afford chefs to plan and prepare healthy meals for them. Japan: In Japan, the life expectancy rate is 84.19. Japanese are healthy because they prefer fish more than red meat. They also consume less dairy, butter, seaweed and plenty of vegetables. The best thing is that Japanese eat in small portions. 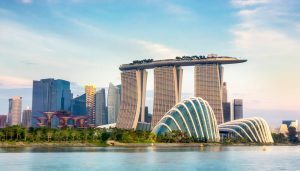 Singapore: The life expectancy here is 84.07. There is no doubt that the government did most of its part by providing good environment for the people. Spain: Spain is the number four healthiest country in the world with life expectancy of 83.12. Portion control is famous for Spanish. They have this “tapas” which means small portioning of food. Aside from that, “siesta” also contributed to healthy living. 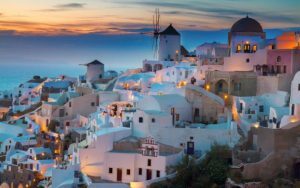 Greece: Greece is number five healthiest country in the world with life expectancy of 82.98. Why are they healthy? Greeks are famous for their Mediterranean diet which consists of fish and olive oil. Greeks are also active on the water – which will serve as their exercise. Greece is followed by Andorra with life expectancy of 82.58 then Switzerland with life expectancy of 82.28, Australia with life expectancy of 81.98, Italy with life expectancy of 81.95 and France with life expectancy of 81.56. This should be enough to inspire all people around the world to be healthy and keep it that way for as long as we live.